Takkoda have raised many a titter from its celeb-tastic animal-themed range of Famous Faces. 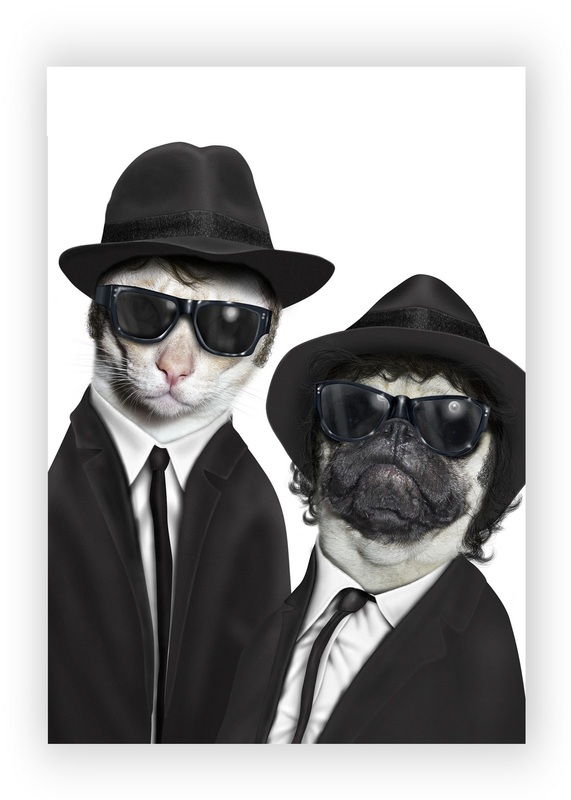 I smile every time I see Che, Tommy Cooper and Mr T.
But this time they've pulled out a nailed-on genius likeness of Jake and Elwood from the Blues Brothers. Jake's squashed up pug face is such a dead ringer for the late great John Belushi it isn't true! The Elwood cat character is close enough but its Jake that totally rules this design. It's tough being an independent gift and greetings retailer. 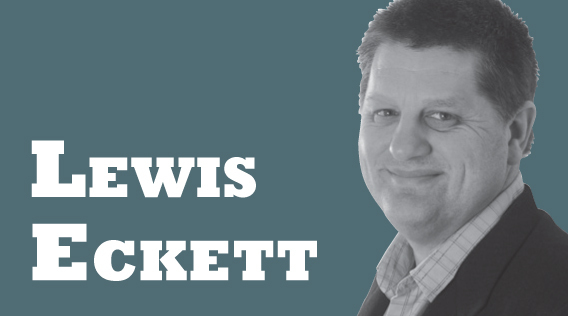 Not only do you have Tesco and Card Factory to worry about, but there's the constant worry about whether your latest store has the right look and location too. Fortunately, for Terry Harvey and his new store in Hungerford (see: www.greetingstoday.co.uk/fromtheheart) the proof of the pudding was there to see. Nothing tells you've got everything spot on than a Big Issue seller camped outside your store. These guys can sniff out footfall at a thousand paces and know where the action's going to be. I’m all for a bit of ethical trading. I like the warm, cosy glow of self-rightousness when I dunk my digestive into some fair trade coffee or bite into a piece of fruit from a farm collective. For an industry that buys in so much product from the Far East, we haven’t seen much in the way of ethical product in greetings yet. That might be about to change with these fair trade designs from Thinking Gifts. The cards are hand-made by local craftspeople from Mauritius and Bangladesh and feature either real pressed flowers or handwoven fabric. Not only are the cards a great product in heir own right but they are bang on trend for all things eco and ethical. One of my favourite finds at Home and Gift, Harrogate was a great range of Christmas cards from German publisher, Artebene. The use of die-cut wood veneers was a particularly warm, tactile element but when complemented by either emboss or flitter added up to a sensational piece of design. The Germans love their Christmas and these cards reminded me of December trips to the famous Berlin markets, sipping gluwein and listening to oompah bands. I’m sending more cards than I ever did before. I guess the job’s getting to me and instead of simply counting off the necessary occasions that require a card to be sent – family birthday, anniversary, Mother’s Day etc - I’m actually making an effort to increase my personal send. It helps that I’ve got a lot of product in the office to choose from but, hey, I still have to lick the envelope and buy the stamp! I’ve even set my iPhone up with a Birthdays calendar that emails me an alert two days before each important date so I can get something in the post. My wife has noticed the change too. She has an extended family in the north with an ever-growing host of cousins, nephews and nieces, which until recently we’d given up keeping track of. “This is supposed to be your job,” I retorted, knowing full well that I’m secretly enjoying the responsibility. Well the new me is not so easily put off. At a recent family gathering I dutifully recorded everyone’s details and have started sending cards whenever that little alarm email arrives in my inbox. It’s amazing the response we’ve got. The kids love getting their cards and the little messages inside and the parents are pleased as punch too. My friends too are wondering why they’re suddenly getting birthday cards from me after years of casual indifference. My male mates particularly are a bit taken aback because it’s not something a bloke is supposed to do. But you know what, they are enjoying getting a card that’s been carefully chosen and carrying a suitable message – even if it is something from Dean Morris. The net effect is that suddenly there are more cards whizzing back and forth as birthdays and special events come and go. Well, I’ve even started sending thank you notes following events we’ve been invited to or anniversary cards to close friends whose weddings we attended. 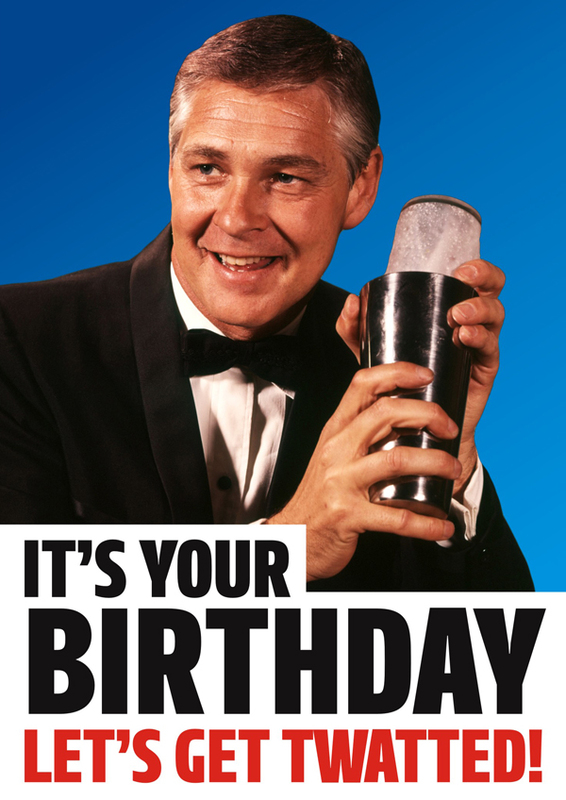 As I’ve discovered there really is no end to the number of occasions you can find an excuse to send a card for. In the US, there’s a trend for bosses to send work colleagues a personal note congratulating them on a job well done. Apparently an email or a chat by the water-cooler just doesn’t compare to a handwritten ‘Good Job!’ in an envelope left propped up on the keyboard. I’m not sure this would catch on here in the UK – we’re probably far too cool and reserved to bother with such things, but maybe when we see someone in a hit US TV show sending or receiving a note of praise, there’s a good chance we’ll all want one. But back to me and my new found reputation as a sentimental so and so and whether or not I can stand the stick I’m getting from my male friends about all these cards I’m sending. Well, I reckon I’m big enough and ugly enough to stand a bit of ribbing and I’m certainly OK with the warm feeling of satisfaction I get when a carefully selected slice of sentiment hits the spot. 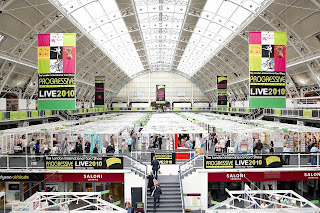 The exhibition landscape changed dramatically last year when PG LIVE was launched. The show, at the Business Design Centre in London, was billed as the only dedicated greetings exhibition in the UK. 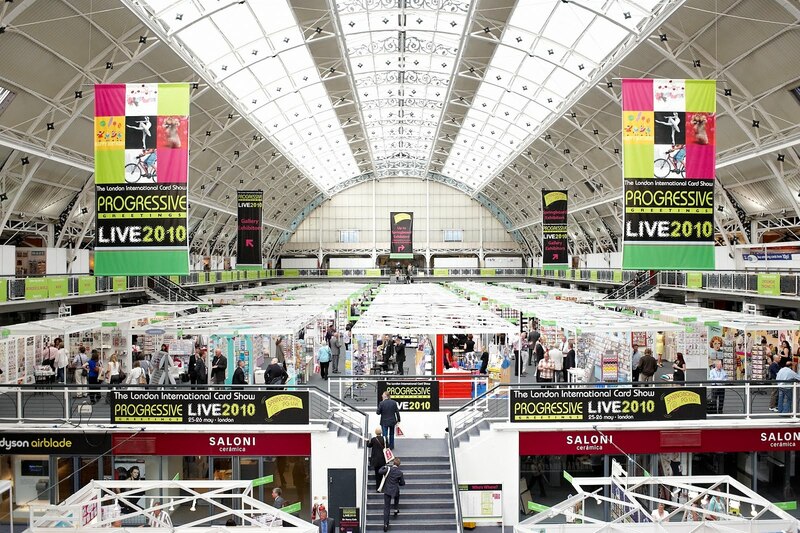 One year on, PG Live once again opened in its May timeslot with a few adjustments and new features and a desire to improve on last year’s debut attendance from retailers. Conventional greetings wisdom suggests that hosting a show in May isn’t exactly ideal. Buyers like to make the bulk of their choices at the beginning of the year, make some additions in the summer and top-up in the autumn in time for Christmas. That’s why Spring Fair, Harrogate Home & Gift and Autumn Fair dominates those datelines. It also helps that Spring and Autumn Fair are both centrally located in Birmingham and Harrogate, is well, Harrogate. Around those key events sit the London gifts and greetings shows, Top Drawer and Pulse. Into this accepted order of things has stepped PGL with a very defined brief to showcase the best of British greetings talent to not only UK retailers but global buyers as well. It’s a move full of bold intent and it certainly seems to have garnered strong support from the industry with over 240 card publishers and greetings suppliers (70 more than the inaugural year) including industry heavyweights like UK Greetings and Hallmark who simply don’t do any of the other events. This year PGL also added a new section for up and coming, publishers called Springboard, which was designed to give smaller outfits the chance to rub shoulders with the big boys and get their product in front of quality buyers. Put all that together and what you get is as comprehensive a cross-section of the UK greetings industry as you could wish for. As our show preview proved last month, PGL was stuffed full of exciting and innovative product, making it a must-visit for any serious retailers looking to refresh their racks. PGL’s organisers have adopted a quality not quantity approach to attendance at the show with a restricted admission policy, where only genuine UK and overseas greeting card buyers, retailers, wholesalers and retail sales agents are invited to attend free of charge. Emphasis has also been placed on attracting strong export and overseas support, which paid off with representation from nearly 40 countries as far flung as Hong Kong and Russia as well as from Europe, America and Australasia (the latter leading the field, along with the Dutch, in terms of visitor numbers). One of the interesting things to speculate on with PGL is whether it will change the publishing dynamic and encourage publishers to launch new product specifically for this point in the calendar. So far, the feeling is yes – and no. Card publishing is a complex business with some very set patterns so while new product was in evidence a lot of it was extensions to existing ranges or previews of upcoming collections rather than major launches. This may change in time but for now the traditional release programme seems to be holding sway with most publishers sticking to their set programmes. For retailers the question is whether PGL offers a more comprehensive selection of greetings publishers than the other shows and whether they will bite the bullet and attend them all or start making choices about which ones to drop. Going to exhibitions is an expensive business for standalone retailers, particularly if they are making the long trek from the north or Scotland, so they need to know that when they get there it will be worthwhile. With PGL you’d have to say it’s more than worth the visit if you want to see the broadest, most diverse range of product available. But it might take time for retailers to cotton onto the fact. And then there’s the added element of it being a dedicated greetings show: Is that what retailers really want? A large part of the other major shows’ appeal is the gift element, because most card-based businesses can’t survive on greetings alone. They need to balance their retail offer with gift lines, which is what SF, AF and Harrogate offers in spades. Time will tell whether this is an issue but for now those retailers who made the trip to North London were rewarded with a visual feast and probably the best array of greetings talent and design possible. What do you send the women in your life? As a man, buying cards for female relations or friends can be a tricky experience. I’m not really a ‘cute’ person and I’m not prone to over-sentimentalising either. So I always look for something obviously feminine but with a strong graphical style to help me make the ‘send’. Ling Design’s new Paris range fits the bill perfectly for me. It’s stylish and feminine but has a modish quality that is strong and clean. It’s ideal for the women in my life not just because I think they would be glad to receive it but mostly because I would be happy to send it. While you are there please sign up for our News Flash service, which keeps you up to date with the latest news, views and events in the world of greetings.